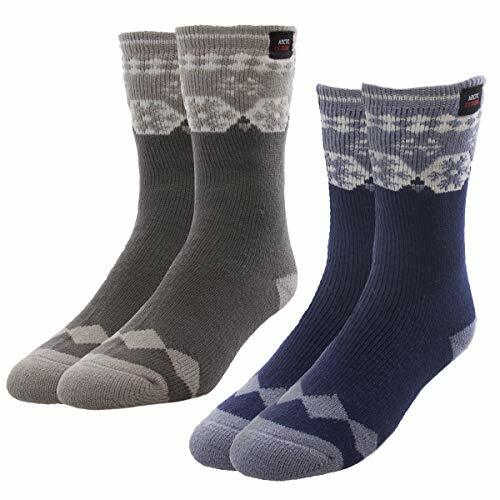 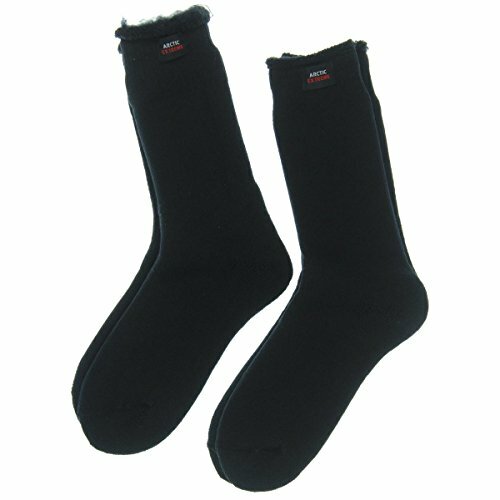 The bulky yarn makes these much warmer than socks made from cotton, and the soft brushed lining insures greater comfort than wool. 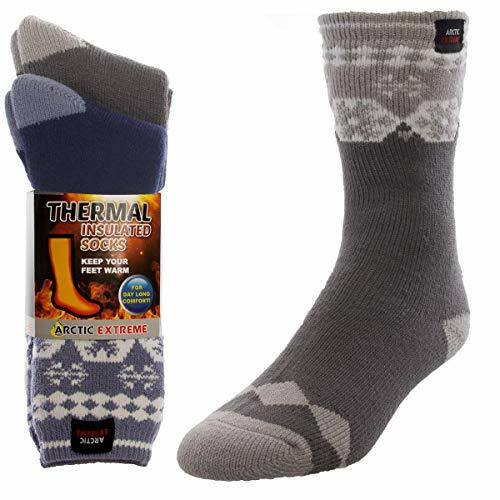 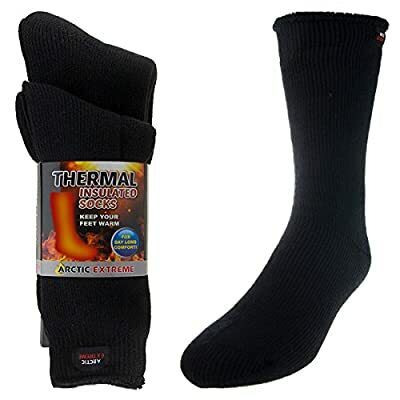 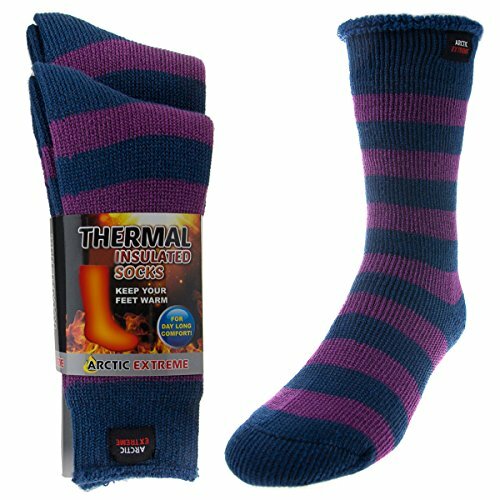 Extra warm for the coldest winter weather; Padded comfort; great for sports, hiking, skiing; 7x warmer than cotton; softer than wool, non-itchy Heavily brushed fuzzy lining soft comfort for feet; Ribbed stay-up top keeps socks from sliding down; Thick thermal yarn; Moisture wicking for dryness; Perfect outdoor trail cold weather gear; Also great for outdoor athletic activities Machine wash cold with like colors, tumble dry low; Made in China; 93% acrylic/6% polyester/1% spandex Medium: Mens/Boys shoe size 4-8, Womens 6-10; Large: Mens shoe size 9-12, Womens shoe 10.5-13 (2) Pairs Thermal Insulated Thick Socks by Arctic Extreme for men or women. 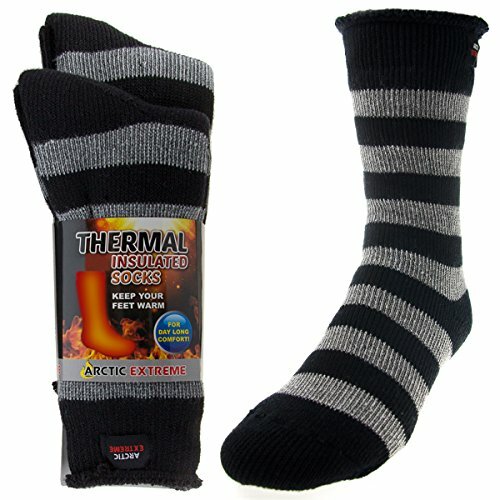 Colors to choose from Include: Black, Black & Gray Striped, Black & Purple Striped, Gray/Blue & Gray/Black.